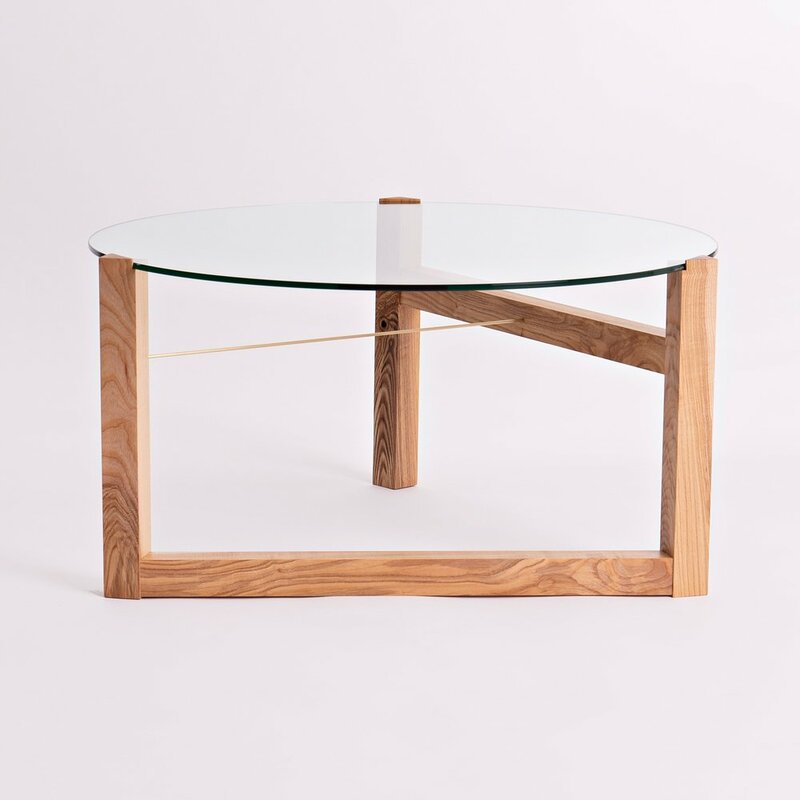 The table is handmade in beautiful wild Irish ash or ebonised European oak, with a solid brass rod to secure the glass to the top. The glass is toughened safety glass making it safe to handle. 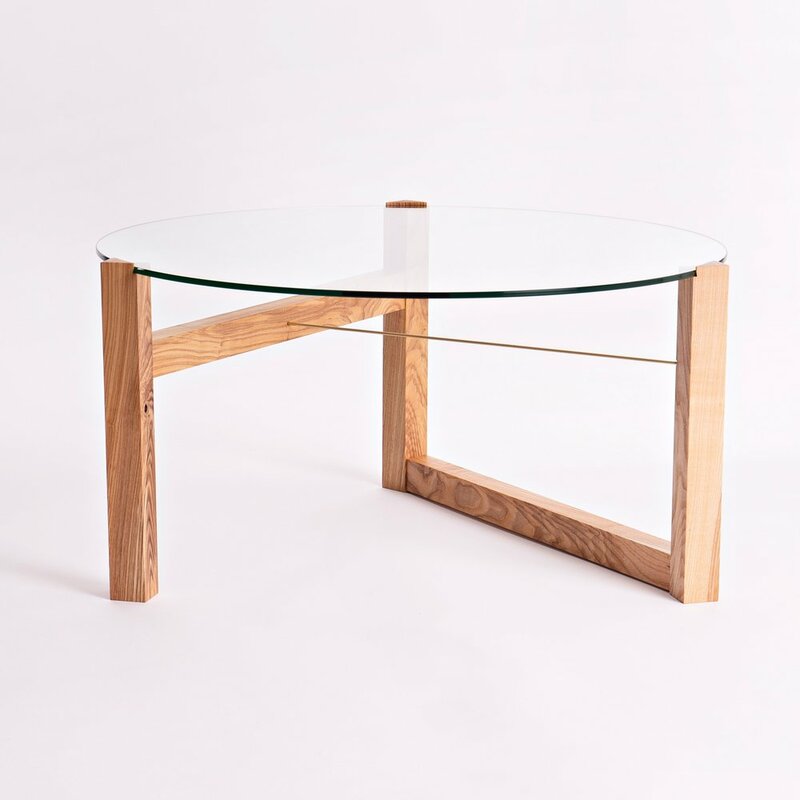 The table is finished with a hardwearing, natural, hand rubbed oil. The wild Irish ash trees are sourced from Co. Wicklow and are either windblown or have reached their end of life and need to be taken down. They are unmanaged "wild" trees giving them a much more interesting character of grain, pattern and colours as they develop branches naturally and twist in the sun. 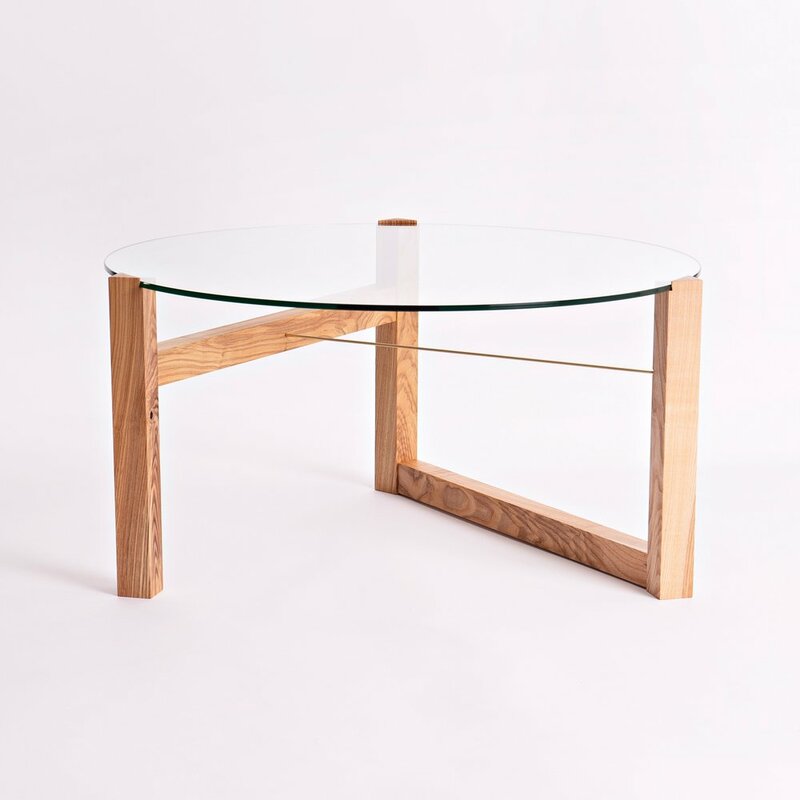 The European oak is sustainably sourced and ebonised using a natural vinegar and iron solution. Dimensions: 79cm diameter by 40cm high.